When you are diagnosed with kidney disease, also known as End Stage Kidney Disease (ESKD), there are a number of treatment options available - Haemodialysis, Peritoneal Dialysis and Transplantation. The Haemodialysis and Peritoneal Dialysis options are discussed in detail in Book 2 - Haemodialysis and Peritoneal Dialysis – A Guide for Patients. Kidney transplantation, in many cases, is the best treatment option for long-term health, but there are a number of factors that must be considered as it is not without potential complications. 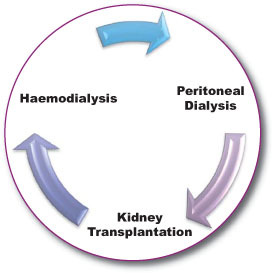 Most people, who are waiting to receive a kidney transplant, will be on dialysis - either haemodialysis or peritoneal dialysis. It is possible to receive a transplant before commencing on dialysis; however, it is rare due to the current waiting times for transplant organs. Transplanted kidneys do not last forever and you may need to return to dialysis or undergo a repeat kidney transplant if your kidney fails. A kidney transplant involves connecting the kidney artery and veins from the transplanted kidney to the recipient. 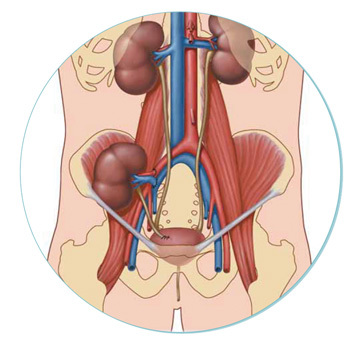 The tube carrying urine, called the ureter, also needs to be connected to the recipient’s bladder. The transplanted kidney is generally placed in the lower abdomen on the right or left. In general, the surgeons do not interfere with your own kidneys unless there are specific problems that need to be dealt with. WHERE DO KIDNEYS TO TRANSPLANT COME FROM?